Women needs makeup to make them look outstanding, beautiful and confident! Apart from the basic foundation and blusher, what is the one beauty product that you think you MUST have? For me it would be an eyeliner. 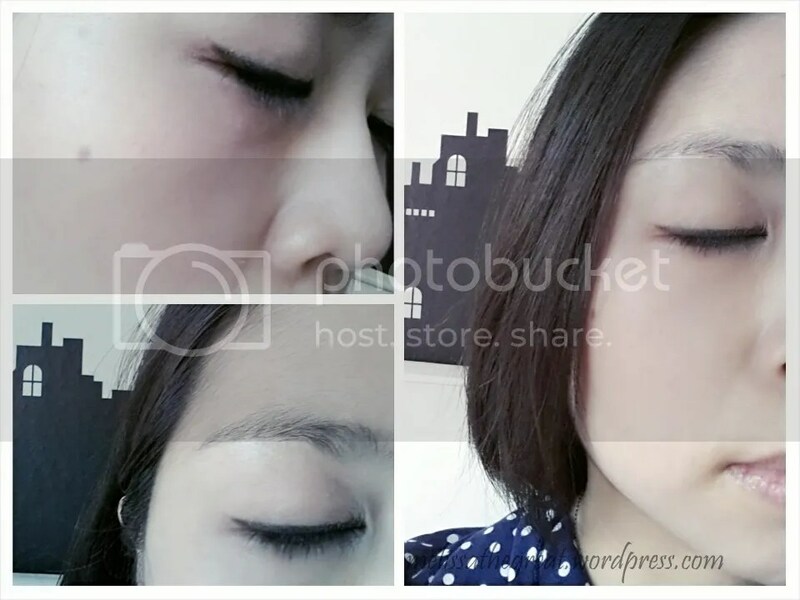 Eyeliner is a cosmetic used to define the eyes. 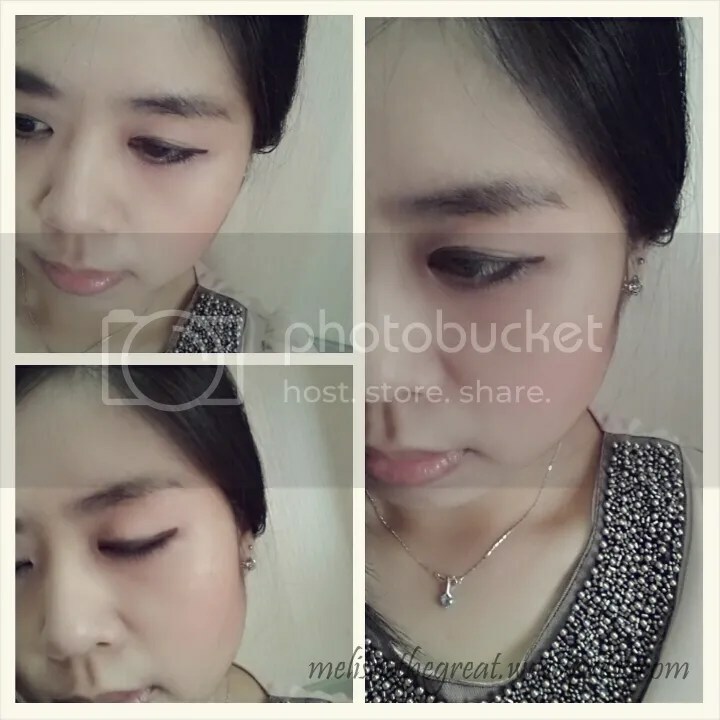 When one mentioned “I want to have alluring eyes!”…there’s where the eyeliner played the role. Because eye contact is important. Let me prove it to you…. Check the above comparison. So, you understand what I meant right? Today, introducing you to this wallet friendly eyeliner. 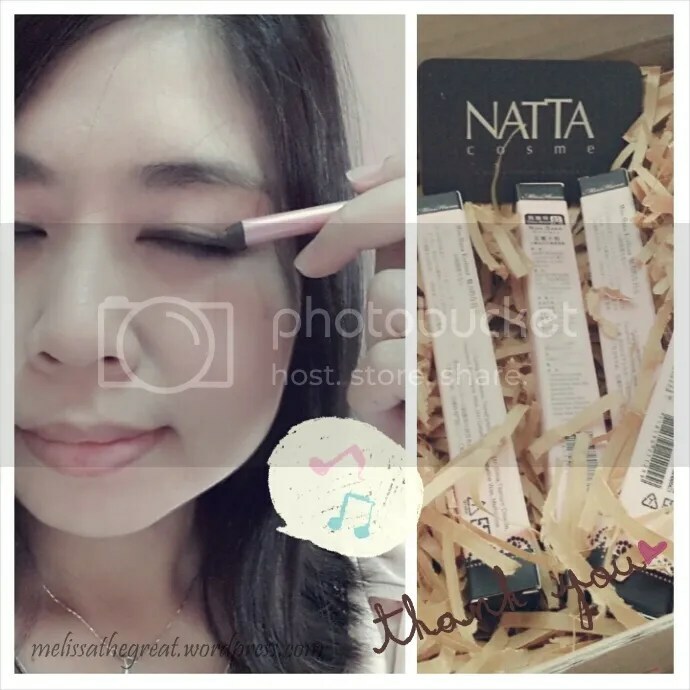 Miss Hana Water Proof Gel Eyeliner claimed to be Taiwan #1 Eye Liner Gel Pencil! What’s your main concern or criteria when you choose an eyeliner? Smudge free, waterproof and easy application are my main concerns. In our humid country…. we tend to sweat alot. Therefore smudge free and waterproof is important. I don’t want to look like a zombie after sweating. haha…. 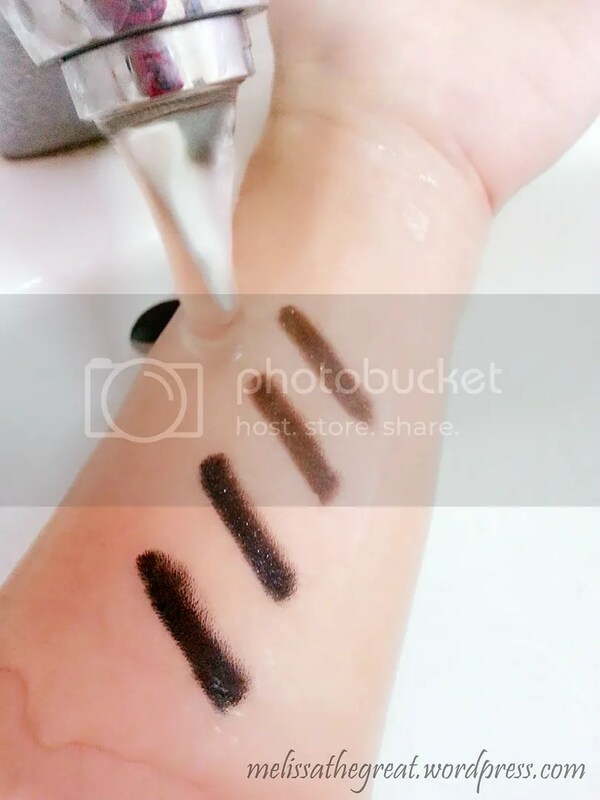 Miss Hana Water Proof Gel Eyeliner comes in 4 shades. All 4 shades matches our Asian complexion. 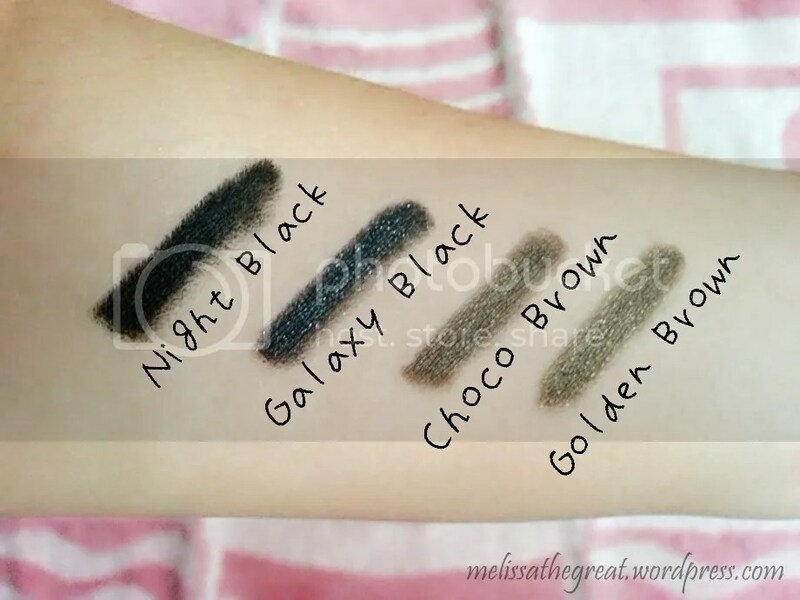 For natural day look, I’ll choose brown (earth tone). 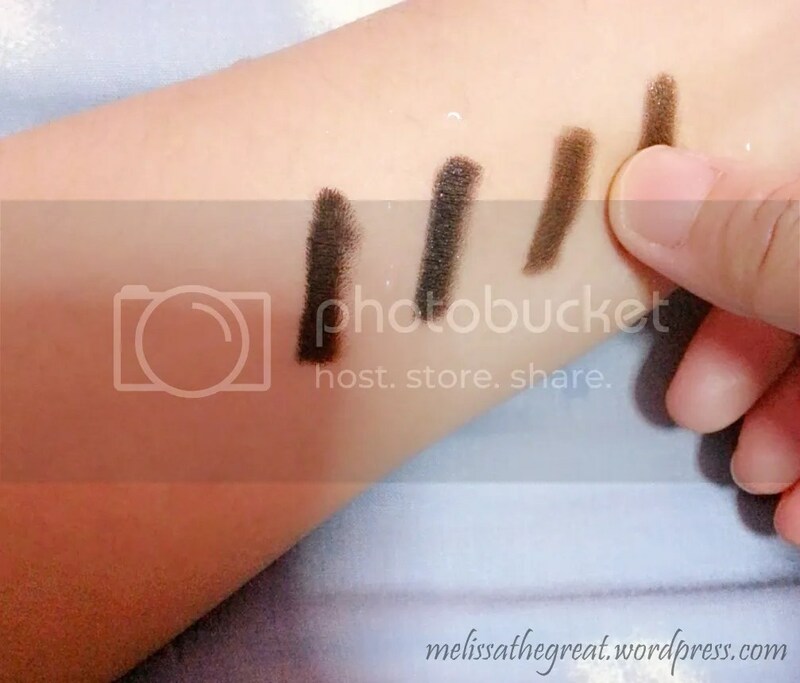 While black I’ll keep for night or when I want to create a smokey eye. Both Galaxy Black & Golden Brown has this shimmering effect. 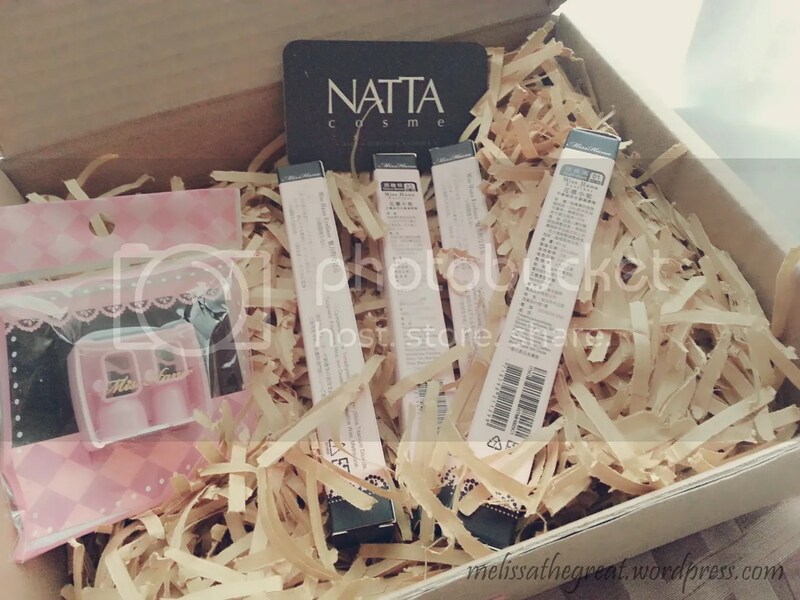 Lets do a few test to prove that its smudge free and waterproof. Above I was using Night Black. Above I was using Choco Brown. Miss Hana Water Proof Gel Eyeliner is lightweight. The texture enables you to give a beautiful, neat and precise stroke. Ops…what should I do when the eyeliner tip is blunt? Tip: Minimize the breakage of your eyeliner pencil by cooling it down prior to sharpening it. You can place your eyeliner pencil in the refrigerator or freezer for an hour, or you can simply store your eyeliner pencil in the refrigerator or freezer so it is always ready for sharpening when you are. If you ignore this step, you may find that your eyeliner pencil will break and crumble when you sharpen it. I’ve found an eyeliner which gave me WOW and satisfaction. 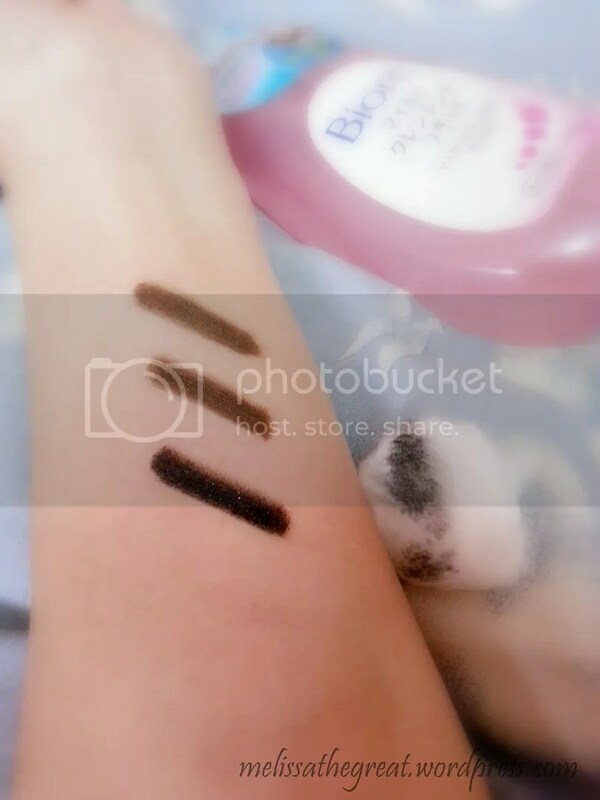 Despite the rich and long lasting color, its easy to remove using a makeup removal. No worries. 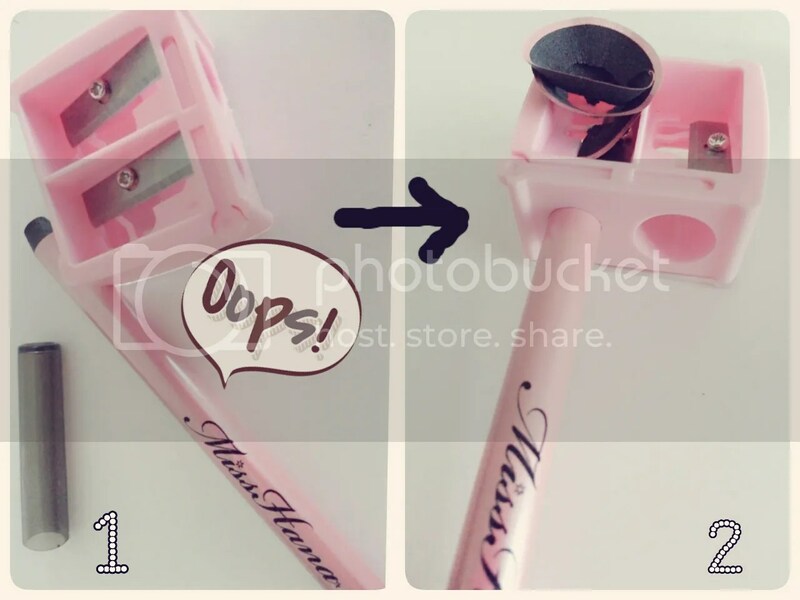 For people who has oily eyelid…you’ll be happily owning this. Remember what I’ve mentioned earlier…its wallet friendly!! So, why not give it a try today? Trust me… it will not disappoint you. I bought it after reading your post. hahaha hopefully it work for me. Haha scare later forgot jor. Mel Mel, today first day used it. ok woh. really tahan woh. from 8am till now.. no smudge at all. but felt abit sticky ehh. mag – isit? the texture is abit crayon like… but on me still okay, did not feel it. eyeliner is the most important make up item for me! smudge proof is one of the main factor i consider when i’m buying. this one seems like bagus ar.. mine gonna exhaust soon, then i’ll try this! 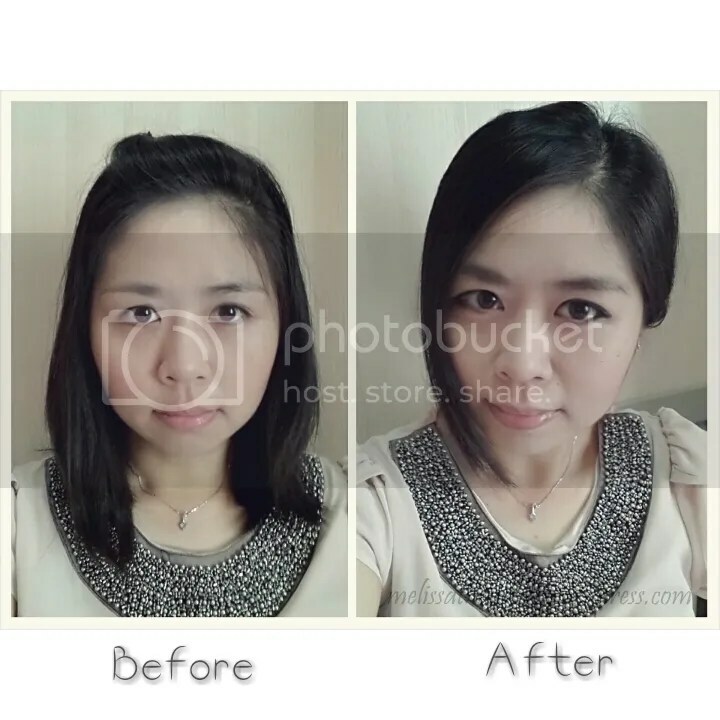 Choi Yen – I am starting to love it too. Thank you mel mel! Now I want to try this! Ashh… you test and see. See whether comparable to those that you’ve use before. Finally there is english review about a miss hana product. All of the reviews are in chinese or other languages. Thank you so much for writing. 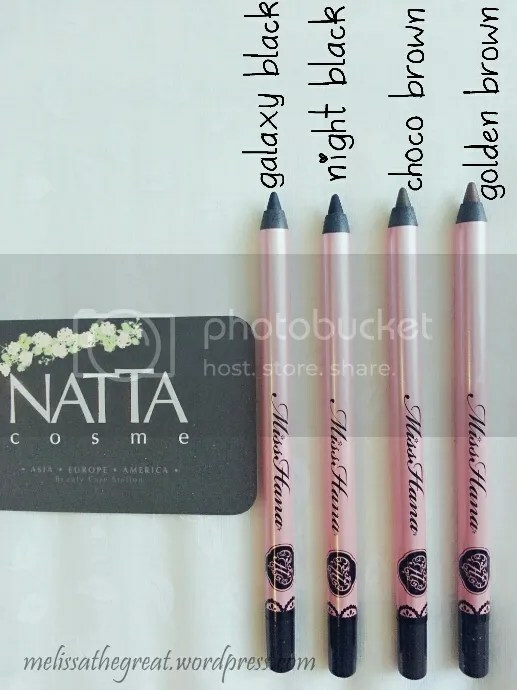 I’m excited to get this eyeliner.